How do I submit my feed to Bing Shopping? 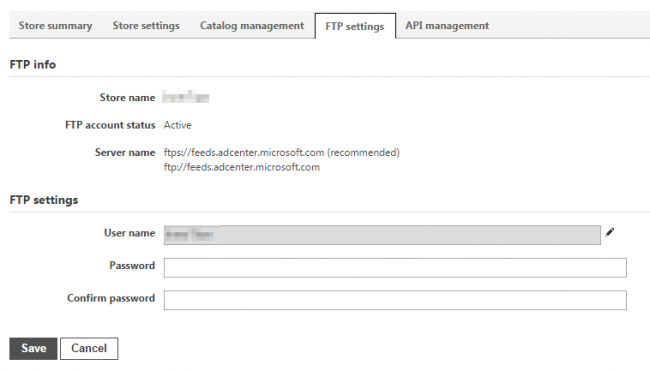 Configure and schedule your feed submission to Bing Shopping. 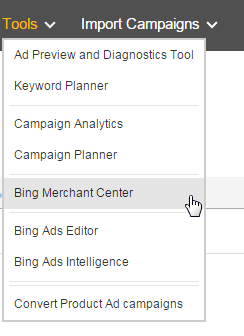 If you haven't created your Bing store yet, select 'Create Store' and enter your store information. If you have a store, click on your store name to view it's settings. Copy server address, username, and password into the Feed Publish Settings page of GoDataFeed (Feeds > Bing Shopping > PUBLISH > Settings). You may need to create a username and password. Enter 'bingshopping' as the file name.